Flamingoes! 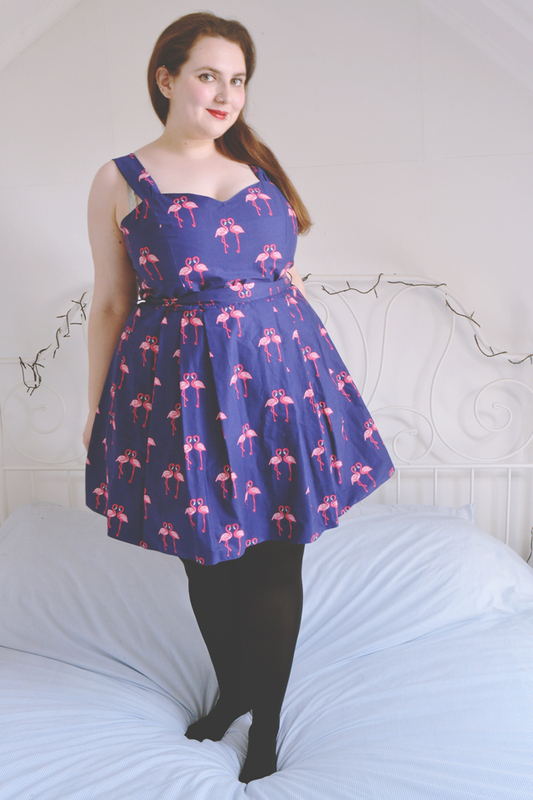 How could I possibly resist a dress with flamingoes on? Look at it! It's just the perfect little print. I love the shape of this dress too. I was a little worried that it may be uncomfortable as it's quite a rigid material, and it has a net hem along the underskirt, but it turned out to be absolutely fine. Isn't it adorable? !By the way, if you enjoy reading my blog and would like to see me up for a Cosmopolitan Blog Award, you can nominate me for Best Lifestyle Blog here. I'll send virtual cake to everyone who nominates! That dress is beyond adorable! I tempted by a trip to Debenhams now, novelty print dresses and skirts are my weaknesses...! I love novelty prints too! I love the neckline too! I actually tried that dress on myself last week! I love the shape and the print on it (flamingos = winner). It really suits you! What is the lipstick? It looks stunning on you. It's perfect! Who doesn't love a flamingo? Scroll, scroll... OH MY GOSH you look so freaking amazing. I think I'm too excited by the flamingo print! I'm also glad that someone else owns clothes by H! by Henry Holland, I thought it was only me haha. I love the H! by Henry Holland clothes. More than House of Holland clothes, in fact. I love the novelty prints. I looked at this dress yesterday! unfortunately being tall was a disadvantage so it barely covered my backside! looks fab on you though! jealous! Adorable dress, you're making me want to go on a dress buying spree! I love the print the most, I think.